Warblers and vireos and buntings, oh my! 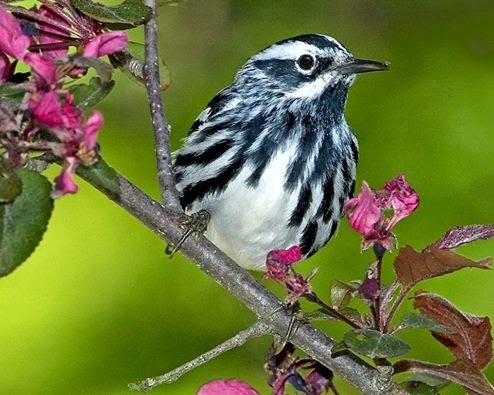 Birding enthusiasts and nature lovers, bring your binoculars and join us for the Blue Ridge Mountains spring migration birding weekend coming up on May 8-10, 2015, hosted by the Inn on Mill Creek B&B, a site on the North Carolina Birding Trail, Mountains Region. Get set to go birding at various locations near Black Mountain, Asheville and the Blue Ridge Parkway with well-known ornithologist and naturalist Simon Thompson of Ventures Birding Tours. Friday, May 8, the Inn on Mill Creek B&B will host a meet-and-greet for guests, with hors d’oeuvres and complimentary beverages, as Simon reviews the itinerary and birding checklist for the weekend. Then it’s off on a full day of birding on Saturday, May 9, before breakfast around the Inn on Mill Creek and then after breakfast at different locations in the area, led by Simon. Lunch is included on Saturday. Simon will then be back at the Inn on Mill Creek B&B on Sunday to lead guests on a morning bird walk around the Inn’s seven-acre wooded property in Pisgah National Forest. Rooms are discounted to $150/night and the birding package is $135/person. Reserve online at www.innonmillcreek.com — simply select the May weekend dates (May 8-10), pick your room, and add the birding weekend package when prompted. Or reserve over the phone at 828.668.1115. SPACE IS LIMITED. Reserve a spot before the weekend sells out. More details and a list of Ventures Birding’s other tours and day trips can be found at http://www.birdventures.com/InnMillCreek2015.html. This entry was posted in Birding in the North Carolina Mountains and tagged birding, Black Mountain, Blue Ridge Parkway, festivals and special events, outdoors, Spring by Inn on Mill Creek. Bookmark the permalink.